Which U.S. State has the most garage/yard sales in a year?? A gift of money is always an appreciated gift. I like to be creative and find a fun way to present a gift of CA$H. Pina Colada Pie is an impressive dessert that EVERYONE loves. Get the recipe here! Oh we are in full swing of Garage $ale Season! What a wonderful time of year! I think it is better than Christmas! I am always looking for ways to make my sale run smoother and easier! Garage Sales That You JUST can't miss! There are many reasons to have a garage sale. One, it to clean out to make room for new things. (That is my reason every year), Another reason people hold garage sales as a fund raiser for whatever cause they want to support. Or just to get rid of a stock pile of things in a house. Wine Racks Aren't JUST For Holding Wine Anymore! While remodeling one our bathrooms, my husband and I discovered a wall with unused space behind it that could be made into a little linen closet. Who wouldn't want more space in what is the smallest room in my home? Does Your Walls Need A Little Something? I had a foyer wall that needed a great piece of Art on it. I looked high and low to find just the right piece to no avail. Things That Make A Garage Sale Run Smooth! The very first thing on the list is HELP! I mean friends and/or family to help you set up the sale, bring over things to sell so that your sale looks like a "HAVE TO STOP THERE" place to go and help to run the sale when you are open for business. My garage sale has 14-17 families in it every year. 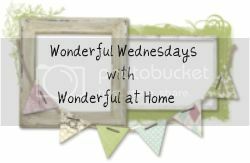 Entertaining Day or Night~Garage Sales can help make it RIGHT! I LOVE to entertain! I belong to 3 card groups and enjoy when it is my turn to have the girls over for some food and Euchre. Euchre is a card game that is popular here in Michigan as well as the mid-west. Window Art That Is Beautiful And Useful! There is much to be said about living in a subdivision. Subdivisions create a community because of the many homes that are close together and friends within walking distance. Like many people living in subdivisions, my home has neighbors on each side. Unfortunately, one of my bathrooms has a window that faces my neighbor's kitchen window. One day my dad was bragging about the wonderful sweet potatoes he had made in the crock pot. He went on and on about how wonderful they turned out. Sometimes people go to garage sales to hunt for "treasures". People hunt for antiques or that one thing that they can't live without. I look for things that will enhance me and my families lives. I am ALWAYS a sucker for those cookbooks that are put together by groups and sold to profit a charity. It is a collection of recipes from those that submit their very BEST recipe they know. I have found many recipes that I consider "gems" from those kinds of recipe books. What do you prefer meat in your chili or meatless chili? This recipe was originally given to me as a Meatless Chili recipe. Of course my husband thinks he cannot survive without meat in a meal so I throw in a pound of ground sirloin for him and everyone is happy.